Dr. David Byrne, adjunct assistant professor of criminalistics and organizer of FSC’s “mock crime scene” and “mock trial” events, has published an article about his work in the Journal of Social Science Research. The article – “Learning by Doing: CSI Comes Alive – Enhancing Information Retention of Forensic Science Students: Incorporating a Simulated Crime Scene Practicum into the College Classroom” – examines whether applied learning experiences such as crime scene simulations benefit the learning process by enhancing knowledge retention. 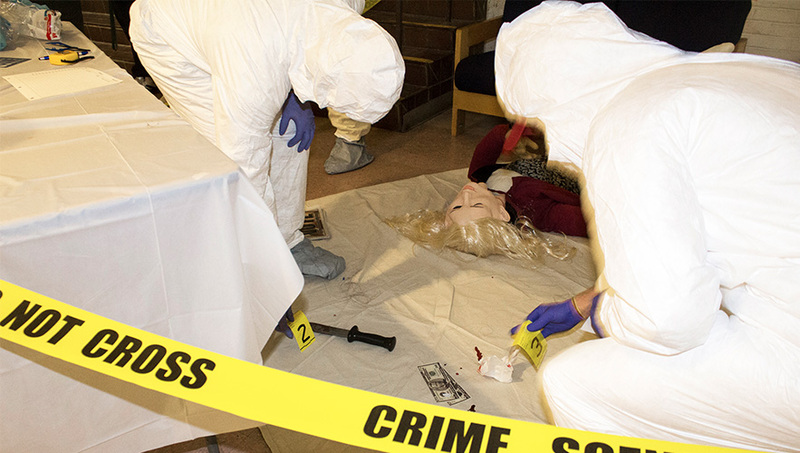 “Students really enjoy participating in the mock crime scene and mock trial, and as result retain what was learned in class longer. In addition to remembering theories and concepts beyond exam time, their problem-solving and critical-thinking skills are improved from this hands-on experience, which will help them throughout college and ultimately in their professional careers.